Have you ever farted and sat there sniffing your putrid smell wishing there was a better way? Fear not gaseous maximus, you can disguise that bum burp breath! 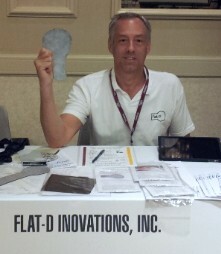 The team over at Flat-D Innovations have a patented device that blocks out the smell of your pants whoopsies! 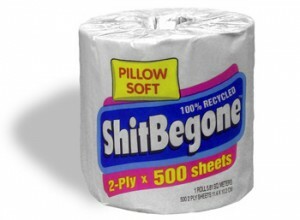 All you need to do is place the pad into your underpants, they even have a demonstration video! They actually used to do a thong for your best friend, however it’s now discontinued. I am guessing there wasn’t a market after it was discovered most of the dog’s farts were actually the humans, and now the master has the pad there’s no need for Captain Sniffy (Woofy) to undergo gas neutralisation.